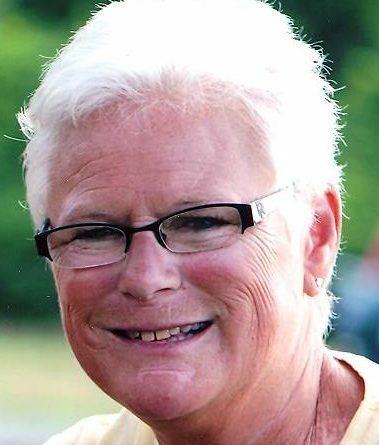 Margaret A. Engebretson, 68 of Stevens Point, died on February 3, 2019, at the University of Wisconsin Hospital in Madison. Marge was born on August 6, 1950, to the late James and Virginia (Benke) Cashin in Stevens Point. She grew up in the area, attended St. Stephen Catholic Grade School, and graduated from Maria High School in 1968. She met Alan Engebretson in 1971 and they married on February 17, 1973, at the Convent Chapel in Stevens Point. Marge decided to dedicate her life to her family. As her children grew, she found work at Sorensen Floral but was later given the opportunity to help with young children. Marge became a teacher’s aide at St. Stanislaus Grade School. She worked as a teacher’s aide until retiring and devoting her time to her loving husband. Marge will be remembered for her compassionate and giving nature. She enjoyed helping and catering to other people’s needs. Family was extremely important, especially her grandchildren. Marge always enjoyed the numerous family trips to Lake Katherine and the serenity of her family’s cottage on the lake. She also enjoyed traveling to the warm climate of Florida with her mother, sisters, and very special nieces, Elizabeth, Kathryn, and Sarah. Marge also enjoyed sports and cheering on the Packers, Brewers, and Badgers any chance she could. She was known to host weekend Packer parties and extended her hospitality to all family and friends. Marge enjoyed the fellowship of others and the laughter generated humorous dialogues. She loved to smile. Survivors include her loving husband, Alan Engebretson; children, Mike (Heather) Engebretson and Katie (Dan) Johnston; grandchildren, Grace, Jay, Anna, Lydia, and Sophie; siblings, CeCe (Richard) Schoenberger, Pat (Cherie) Cashin, Tom (Kathleen) Cashin, and Mary VanOrder; many nieces and nephews; and extend family. A Funeral Mass with Christian Burial will be held 10:30 a.m., Thursday, February 7, 2019, at Holy Spirit Parish, Stevens Point with Fr. Donald Przybylski presiding and Fr. Steve Brice concelebrating. A time of visitation and sharing memories will be held on Wednesday from 4-7 p.m., concluding with a prayer service at Boston Funeral Home. Visitation will also be held at the church on Thursday from 9:30 a.m. until the time of the service. Burial will follow the Funeral Mass in Guardian Angel Cemetery.